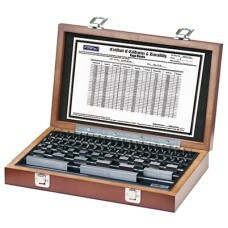 Gage Blocks are one of the most commonly used tools in a Shop or Quality Lab. With too many applications to list, they are simply accurately sized rectangular or square blocks with the ability to be joined together or "wrung" to make a longer working length. Square blocks have a hole through the middle, which allows them to be clamped together with a rod and jaws while rectangular blocks are wrung together simply by sliding or "wringing" two mating surfaces. 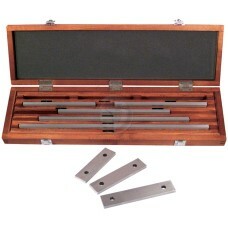 Typically found in a set, Gauge Blocks can be made of steel or ceramic and are available in several grades. 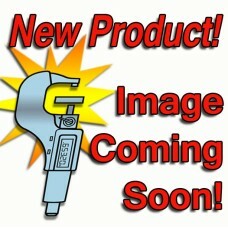 Gage blocks are commonly called: slip blocks or jo blocks (from Johansson gauge). 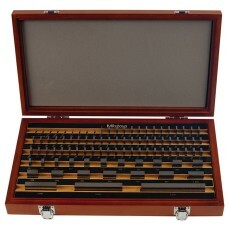 The 516-402-26 Mitutoyo Grade Ø 81 Piece Square Steel Gage Block Set is on sale at Gaging.com! We a.. 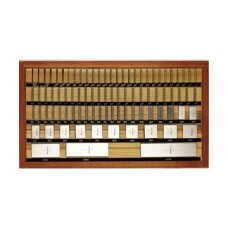 The 516-902-26 Mitutoyo Grade Ø 81 Piece Rectangular Steel Gage Block Set is on sale at Gaging.com! .. 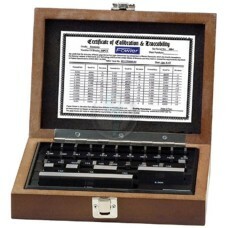 The 516-903-26 Mitutoyo Grade AS1, 81 Piece Rectangular Steel Gage Block Set is on sale at Gaging.co..
*81 piece set shown in image The 516-914-26 Mitutoyo Grade 0, 35 Piece Rectangular Steel Gage Blo..
*Image may differ The 516-930-26 Mitutoyo Grade 0 9 Piece Rectangular Steel Gage Block Set - Inch..
*Image may differ The 516-931-26 Mitutoyo Grade AS-1 9 Piece Rectangular Steel Gage Block Set - I..
*Image may differ The 516-935-26 Mitutoyo Grade AS-1 9 Piece Rectangular Steel Gage Block Set - I.. 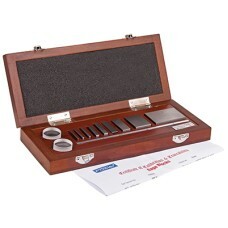 The 516-947-26 Mitutoyo Grade AS1, 87 Piece Rectangular Steel Gage Block Set -Metric is on sale at G..